Turquoise Moon | Did you know ... ? The French baguette. Did you know … ? The French baguette. The baguette and the croissant, which we all associate with France, is not French at all but Austrian. 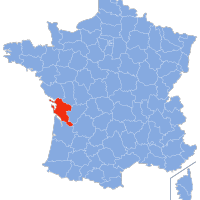 Both were introduced to France by one August Zang, from Vienna, in the nineteenth century. August Zang opened a baker in Paris and sold Viennoiseries : the quintessentially French baguette and croissant are, in fact, copies of the Viennese product. By the time Zang returned to Austria, in 1840 or so, the baguette and the croissant (as they had become known) were very popular in Paris and started to spread across the rest of France. 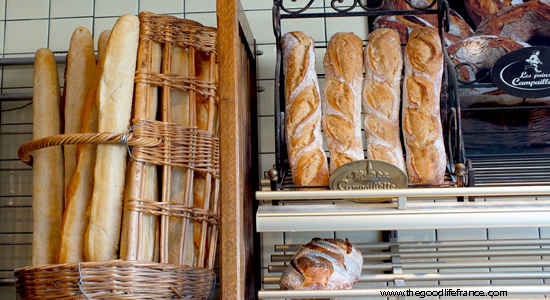 The word baguette comes from the Italian word bacchetta, meaning a wand or a stick. The croissant (kipferl in Austrian) was named for its crescent shape. At the time of Louis XIV (1638-1715) long and wide loaves were the norm. In 1919, however, a new law was made to protect workers, and baking was not allowed to start before 4.00 in the morning. The Viennese bread caught on rapidly because thinner loaves were needed in order for them to be ready for everybody’s breakfast. These loaves were sometimes extremely long – as much as 2 yards ! 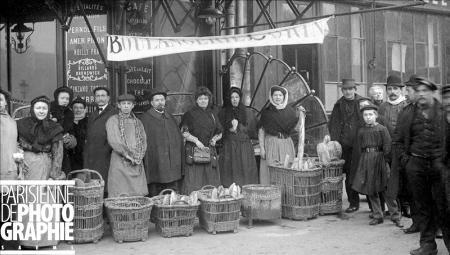 In very little time the baguette was popular all over France, to the point where most people now think it is French.